75 min: There are shades of the old Brazil here, with lovely one-touch football. I actually can’t remember the last time Messi touched the ball or even made a significant contribution. Albiceleste look to penetrate Brazil’s box but a stout defense takes it right back. If u are a true football fan, u follow the game properly. Look at the contribution of players around Maradona. Look at players like Higuain, who has single-handedly lost Argentina a WC Final and 2 Copa finals with his misses. Did you see how they were hacking Maradona left, right and center and beating him like pinata but he still came through for his team. Lionel Messi, the greatest of his era, a matter of fact etched, indelibly, into slabs of Mount Sinai. All too often too much is made of the individual's capacity to Roy of the Rovers in the modern era. The game has changed and moved beyond a measure of man towards an equation of variables, constants and all manner of Greco-Roman symbology. To judge Messi, one-eleventh of the Albaceleste, on the yield of the whole is polemical poppycock. Eder has proven more dependable, in the deepest hours, than Paul Pogba, on the grandest stage and yet, United, in a peerless display of temerarious ostentation, Obasanjo in Swissland'ed to procure Monsieur "Ou és Le finale" for a laughable amount. World record fee for a mere...club player. Pogba may well win nothing actively involved with France and yet could equal the greatness of the Greats by his own achievements. Messi is just that, perhaps now is too soon for eyes to acknowledge so. In 10 or more years time, those very eyes will attest to having seen a freak of nature. Nonsense! The old shibboleth of "the game has changed." The game is always changing, even as it is played. Every era has its own difficulties, and we judge players on how they overcame the obstacles of their era, AND on how people continue to marvel at their achievements. As an analogy, Mr. William Shakespeare Thomas Carlyle Coachito, where would we be in literature if we argued that Soyinka is better than Shakespeare because literature has changed, and it is now tougher, more competitive and very difficult to shine? That the variables are today more varied and complex is not a good argument at all. Kai! Maradona, a god with the heart of a lion! Txj, please don't go there. The truly great ones make those around him play better than the normal level. Maradona. Jordan. LeBron. Etc. I think this is where Messi has been coming up short with respect to national assignments. History won't care about higuain or even aguero so he better sit up because he's running out of time. Chief, this is a friendly now, haba! Messi always comes correct in meaningless games. That is the complaint. The true greats have heart and grit. They plough through tackles and carry teams on their backs in games that count. Claiming that it is a team game is not a good argument. The extraordinary individual takes his team to another level. By the way, anyone who watches old games of Pele and Maradona knows that tackling then was way more vicious, and Messi would never have survived in that era. The cut and dry of it is in respect of Messi compared to the two untouchables in Pele and Maradona. To break into that 2 man club he'll have to win a world cup for his country. In that respect, nothing has changed. And that my friend is all that matters otherwise, Messi is already the greatest player not named Pele, Maradona and C. Ronaldo. 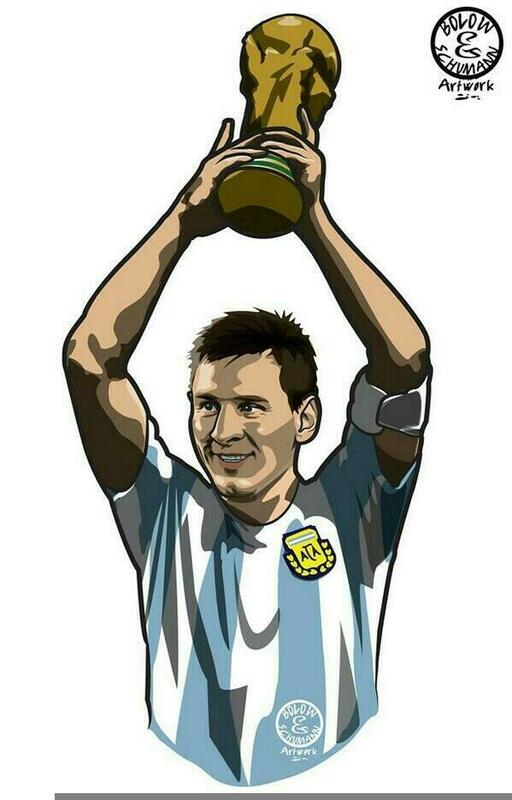 The cut and dry of it is in respect of Messi compared to the two untouchables in Pele and Maradona. To break into that 2 man club he'll have to win a world cup for his country. In that respect, nothing has changed. And that my friend is all that matters otherwise, Messi is already the greatest player not named Pele, Maradona and C. Ronald. TAAAAAA. First two ill give you, the third get serious k leg like thiefco. Ronaldo jumped in front of the queue after leading his country to a Euro Title. So taaaaaaa my friend and commot for road! All hail Lord Eder for granting Portugal its first senior title in ages. ^ I bet Messi's fans won't hesitate to elevate him in queue should he win copa America or world cup as a bench man due to injury. In Ronaldo case, he started the entire Euro only to cop an injury in the finals. And this isn't getting to the argument that he won the euro with much less talented teammates at his disposal compared to Messi's Argentina. I think dat should be "ever".